You know, I was really excited that this work week was about halfway over – and then I realized it’s only Tuesday. *sigh* What a slap in the face that is. I’ve got some news that I’m really excited to share with you coming very soon. You all may not be excited about it but I am….Let’s just say I’ve had a little break thru and I’ll leave it at that for now. 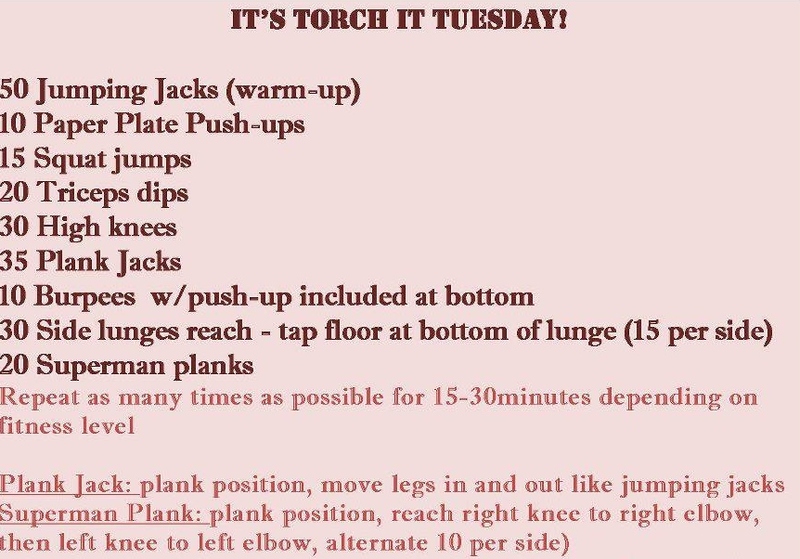 And since it is (sadly) only Tuesday here is a fun little workout for you to do today. I may have posted this workout before. I’m not sure. I’m tired, it’s been a long week already and, as I’ve just mentioned, IT’S ONLY TUESDAY!